The Delhi Police personnel stopped and questioned guests attending the Pakistan National Day event at the high commission in New Delhi on Friday. 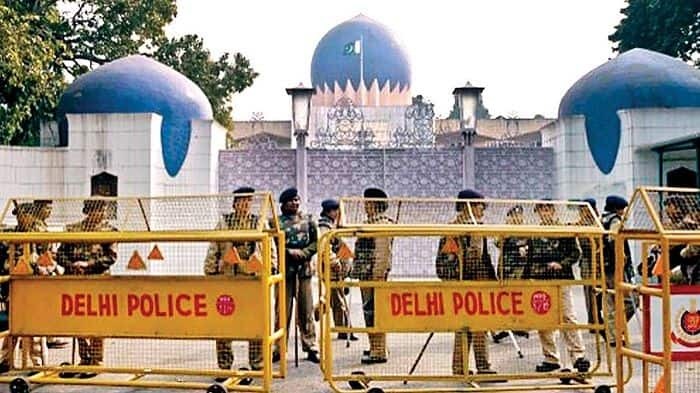 New Delhi: In an unusual move, the Delhi Police on Friday, stopped and questioned guests attending the Pakistan National Day event at the High Commission in the national capital- often enquiring the reason for attending an event that the government boycotted. The Delhi Police posed various questions and barred the entrance to the Pakistan High Commission until duly answered, reports suggest. The police personnel also took down names, phone number and contact addresses of several guests and those who did not yield were sent back. The government on Thursday decided to not send their representative, objecting to invites extended to several separatist leaders from Jammu and Kashmir. “I have been coming to Pakistan Day reception for the last several years. But for the first time, I am facing such harassment. This is totally uncalled for,” said a retired IAS officer who wished not to be named.